If you haven’t jumped in to the next generation of videogame consoles yet, deciding between the Microsoft Xbox 360, Sony PlayStation 3, and Nintendo Wii can be a challenge. 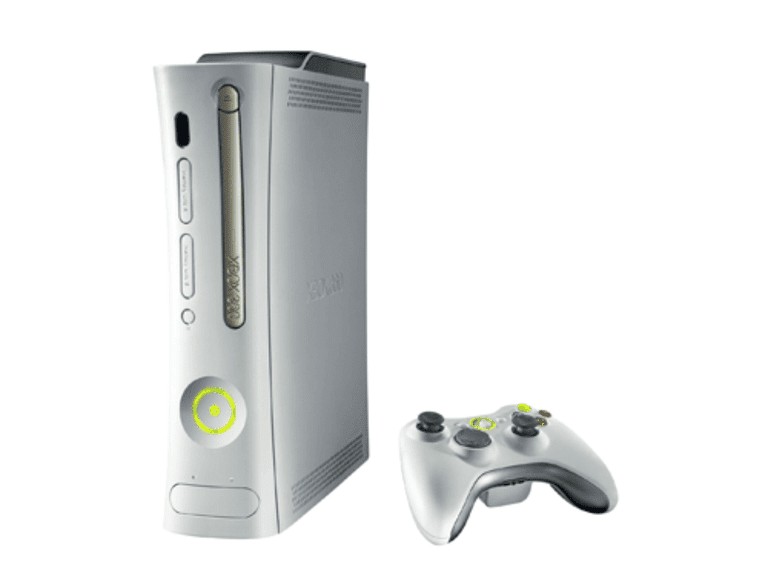 We try to help here with our top five reasons why the Xbox 360 is great for the whole family and why you should buy an Xbox 360 instead of a Wii or PS3. They are all great systems, but the Xbox 360 just does some things better. Games are the most important aspect when choosing a system, and the Xbox 360 has a wide range of great games representing every genre you can think of. Shooters, racing, RPGs, sports, family games, music, strategy, action, fighting – you name it, the Xbox 360 has you covered. If exclusive titles such as Halo 3, Halo Wars, Gears of War 2, Tales of Vesperia, Viva Piñata, Fable II, Lost Odyssey, or Left 4 Dead aren’t enough, multiplatform games (titles that appear on multiple systems) tend to play better on Xbox 360 and some, such as Grand Theft Auto IV, Tomb Raider Underworld, and Fallout 3, offer exclusive downloadable content to extend the game that you won’t find anywhere else. The Xbox 360 has the most games of the best quality in the most genres. Period. The heart and soul of the Xbox 360 experience is Xbox Live. Not only does it offer silky smooth online gaming and a universal friends list across all games, download Xbox Live Arcade games (which include both classic games as well as brand new titles), chat with friends even if you aren’t playing the same game, and much more. You can even check your friends’ status or send them messages from your PC or cell phone. Online play does come with a $60 a year MSRP while other services are free, but there are ways to get it for less. An added benefit is that you also get free games every single month as a paid subscriber. Technically, Xbox Live is an optional service that isn’t required, but it has so much to offer that it is highly recommended to really get the most out of your Xbox 360. Our personal favorite feature of the Xbox 360 is Achievements. Achievements are goals programmed into each and every Xbox 360 game that reward you with points when you complete them. The points add up and form your total GamerScore. Does the score really mean anything? No, not really. But it is a fun way to be motivated to win another race or finish a level in a faster time or to seek out a hidden object that you might not normally try to find to earn a few more GS points. Simply put, Achievements help add replay value to games, and in this turbulent economy getting more out of the stuff you already have instead of buying new stuff is always a good idea. Since you can also check your friends’ profiles online or on Xbox Live, it is a nice way to keep track of what everyone is playing and how far along in a game they are. There are also many websites such as 360Voice and TrueAchievements that let you track your Achievements and compare them with people all around the world, which is fun. To get you started on your path to Achivement addiction, we have a list of some of the (older) Best and Worst Games for Boosting Your Gamerscore. Another great feature is that the Xbox 360 is a multimedia entertainment powerhouse. You can stream videos from your PC or put them on a USB thumb drive to watch them on your TV through your Xbox 360. You can stream music from your PC or rip songs to your 360 hard drive so you can listen to any music you want while playing any game. The 360 can upconvert normal DVDs to high-def if you use HDMI cables to connect to your TV. You can also download high definition TV episodes and movies from the Xbox Live Marketplace, and you can even stream movies from Netflix. Tons of other video apps are available as well, such as YouTube, Hulu, WWE Network, Crunchyroll, ESPN, Funimation, and more, and you don't need an Xbox Live Gold subscription to use them. Not only is the Xbox 360 a great game system, but it's also a complete entertainment device. This last feature isn’t quite as flashy, but for families it can be very important. The Xbox 360 has a full suite of parental control features that allow you to control pretty much everything your kids can do on the system. You can block games above a defined ESRB rating or movies above a defined MPAA rating. You can restrict who your kids can play with on Xbox Live as well as who can talk to/contact them. And the Xbox 360 also has a timer option so you can determine how long your kids can play in a day or even during an entire week. It is impossible to monitor everything your kids are doing, but these features, along with making sure you choose the right games for your kids, make it a little easier. For more information on these features and everything else the Xbox 360 has to offer, please see our Xbox 360 Buyer's Guide. And for reviews of nearly every Xbox 360 game, see our full Xbox 360 reviews archive.